We met Mike & Mali at the Miami boat show in 2016 just after we completed the ARC race on Wanderer. They were shopping catamarans and eventually selected the Outremer 5X as the boat for their world cruising plans. 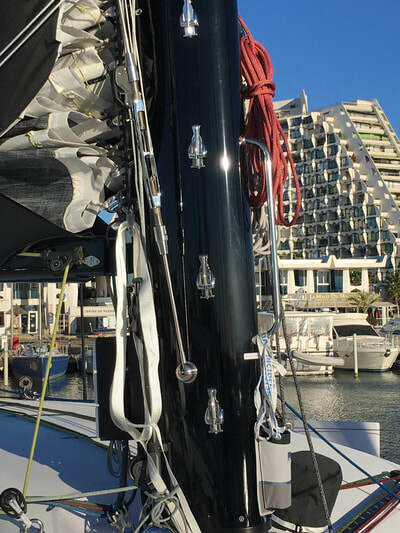 In July of 2016 shortly after selecting Outremer, they contracted with us to help them through the many selections they would be making in the months of building and outfitting that were ahead of them. 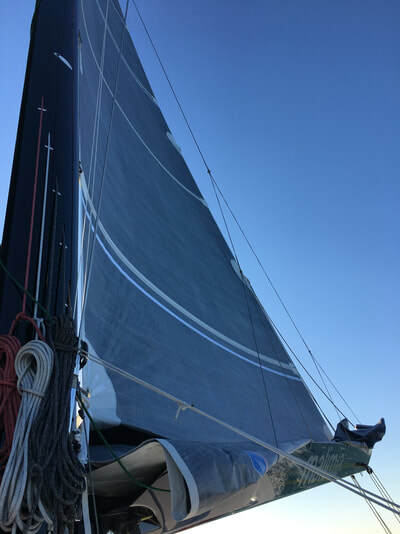 They had a delivery date of November 2017 and there would be hundreds of decisions about sails, equipment, power generation, carbon and more. During those build months we had a series of teleconferences where options were discussed, analyzed and deliberated. On November 12, 2017 they took ownership of MaliMia followed immediately by a Mediterranean 3 day test sail, 14 days of commissioning work and then it was off to the Canaries via Gibraltar and onward to St. Lucia their first Caribbean port of call. Hurricane damage in the early fall of 2017 had left many other Caribbean ports in total ruin. 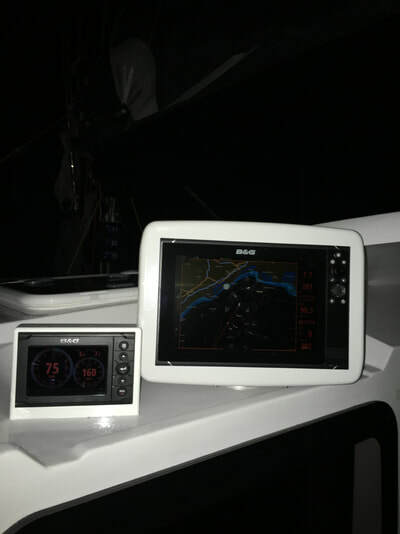 Both Mike and Mali had taken several ASA courses and chartered boats to prepare themselves for their new lifestyle aboard MaliMia. Like many Outremer owners, they used the crowd sourced graphic design resources of www.designcrowd.com with great results. 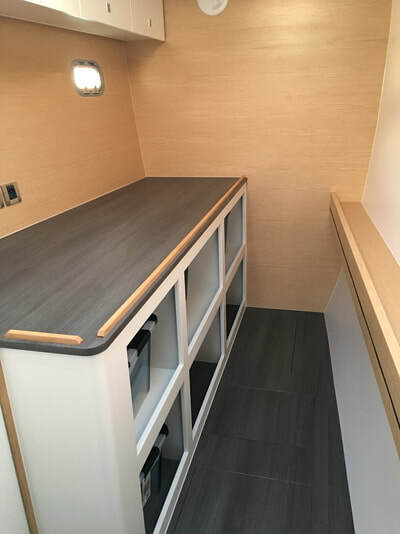 Starboard forward cabin is a workroom with overhead cabinets, cupboards to fit bins and washing machine. DFI Main, genoa and staysail. 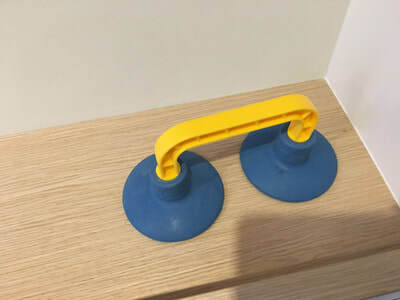 Tough and beautiful shape. 12 inch plotter and h5000 data box in custom housing made by owner. Steps deisgned & manufactured by the owner to make access to coach roof & mast safe. 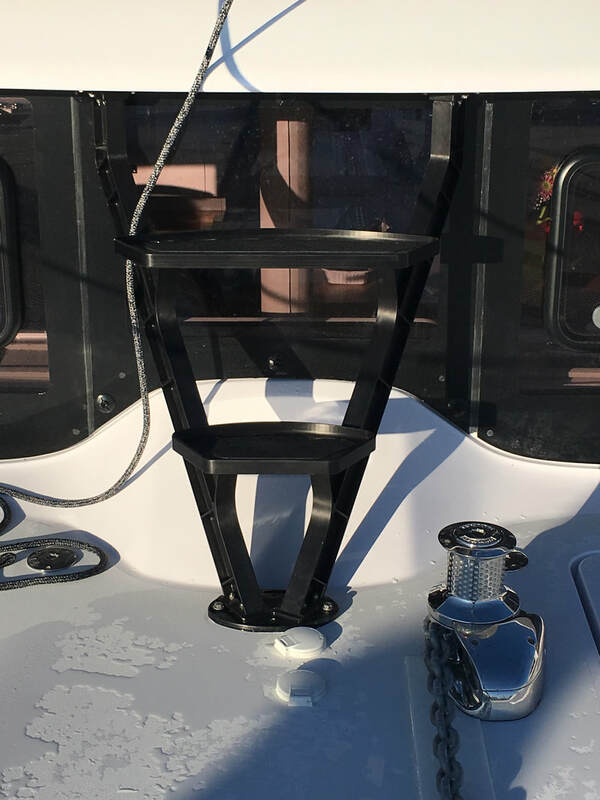 Floor lifters, essential gear on an Outremer. Mast steps, another very good addition for easing the job of getting to the main.